While studying the lipid system in depth, lipoprotein(a) (pronounced lipoprotein little a; also called Lp(a)) was a particle that repeatedly came up in the study material in passing, although at the time I had no idea what it was. It was never something I had seen mentioned in the mainstream information on lipids, but the more I read about it the more I started to get the suspicion that lipoprotein(a) wasn’t exactly like other lipoproteins, like LDL and HDL. The general structure was the same as other lipoproteins – with a phospholipid “shell”, cholesterol being carried as its “cargo”, and proteins attached to the shell (called apolipoproteins) that allowed it to carry out certain functions. But, the research often described lipoprotein(a) as mysterious, or an enigma, and oft repeated was that its function was still largely unknown. At the same time, it was stated that it was an important risk factor for heart disease, and many papers discussed possible ways to lower it. I was left wondering if lipoprotein(a) was really just a particularly deadly particle causing damage wherever it went, or if there could be more to the story. Lipoprotein(a) is a low density lipoprotein that is found in humans, old world apes, and the hedgehog.1 Lipoprotein(a), like LDL, contains a protein called apolipoprotein B (apoB) and Lp(a) is often described as “LDL-like”. This is because the structure of lipoprotein(a) is very similar to LDL, but with one addition. 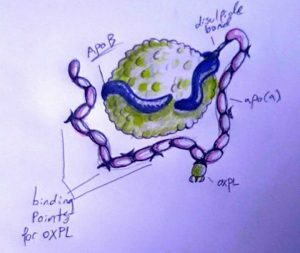 Attached to the apoB there is another protein – apolipoprotein(a). Like other apolipoproteins, apo(a) is what allows Lp(a) to carry out different functions, but the structure of apolipoprotein(a) is vastly different from other apolipoprotein structures I had seen. Instead of being incorporated into the shell of the lipoprotein as others are, it is instead attached to apoB at one end and wraps around Lp(a) like a long tail.2 Apo(a) also comes in different sizes, and its size is determined by genetic factors, based on how many copies of a protein (called a kringle) it has. The size of apo(a) is one of the determining factors for levels of lipoprotein(a) in the blood: the larger the apo(a) form (the longer the ‘tail’), the lower the genetic baseline of Lp(a), and likewise the shorter the ‘tail’, the higher the baseline Lp(a). Beyond studies focusing on Lp(a) metabolism, structure, and function, many studies I saw were centered around lipoprotein(a) as a risk factor for heart disease. This is because people with cardiovascular disease typically have higher levels of lipoprotein(a)3, lipoprotein(a) appears to have some moderate predictive outcomes when it comes to cardiovascular disease4, and some studies show that having higher genetic levels of lipoprotein(a) is associated with increased risk, as well5 – although associated doesn’t necessarily mean causal. But, is the big picture so uncomplicated that lipoprotein(a) can be painted as a “risk” that we’re better off having as low as possible, as early as possible? The answer to this is quickly complicated if one looks at lipoprotein(a)’s association with all-cause mortality, cancer mortality, and risk for brain and airway bleeding as low levels are correlated to higher risk for all of them.6, 7 While genetic baselines do contribute a large deal to lipoprotein(a) levels in the blood, it isn’t the only factor involved. Dietary changes, specifically low fat high carbohydrate diets can raise lipoprotein(a)8, and different protein sources can also impact levels.9 Additionally, Insulin-Like Growth Factor (IGF-1) lowers lipoprotein(a), although the mechanism isn’t known and may involve either increased clearance, or decreased production.10, 11 I found it quite interesting, as well, that interleukin-6 (IL-6; a protein used for inflammatory signalling) raises lipoprotein(a) levels in vitro12 which is likewise reflected in human models where the IL-6 receptor is blocked with drug therapy resulting in lower lipoprotein(a) levels.13 This fit with the speculation that lipoprotein(a) is an acute phase reactant similar to hs-CRP. In other words, lipoprotein(a) may go up from certain types of inflammation caused by damage or infection elsewhere in the body. There is in fact some evidence for this, as seen in in vitro experiments14 and studies looking at patients during the acute phase response compared to controls.15 Higher levels of lipoprotein(a) are also found in those with conditions related to inflammation, such as lupus16 and rheumatoid arthritis17 although this may also be partially genetic.18 This role as an acute phase reactant – levels rising in response to specific inflammatory signalling – could partially explain why it is correlated with heart disease risk beyond genetically determined levels, as atherosclerosis is tied to inflammation and damage in the arteries as well. 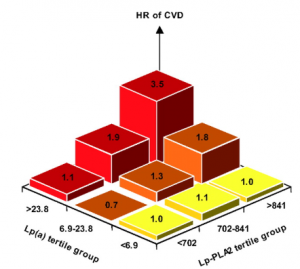 When comparing people with high or low levels of lipoprotein(a) compared to high or low levels of lp-pla2, in those with high lipoprotein(a) but low levels of lp-pla2 the hazard ratio for increased cardiovascular risk was only 1.1 (that would be a 10% comparative increase, not especially significant). This was the same risk as having lipoprotein(a) in the lowest group but a mid-range level of lp-pla2. Meanwhile, those with high lipoprotein(a) and high lp-pla2 had a hazard ratio of 3.5, a 350% relative increase.20 In other words, if lipoprotein(a) was high, but signs of oxidative damage were low, so was risk for heart disease. Beyond all the talk about hazard ratios, and risk, and all-cause mortality, though, there was one question that persisted while studying lipoprotein(a): What is it for? The other lipoproteins had clear uses outlined for distributing energy, or cellular repair, or managing immune reactions, but lipoprotein(a)’s use in the system remained elusive and poorly defined. It didn’t appear to transport energy, and although it was similar to LDL in shape, it has a lower affinity for the LDL receptor21, and thus likely couldn’t be used primarily by cells for repair via traditional means, either. Luckily, there have been a few possible hints about its use in the system, beyond as just a marker for risk. Lp(a), along with plasminogen, may help maintain balance between clot production and dissolution. Apo(a) appears to bind competitively to fibrin over plasminogen, blocking the fibrinolysis effects of plasminogen, and thus may contribute to decreased clot dissolution25, although this same mechanism may be useful in maintaining homeostasis during wound healing. Just like plasminogen and fibrin, lipoprotein(a) is found in healing tissue, but not in healthy tissue, at the same sites that fibrin is located, especially on the surface of the fibrous cap. It is speculated that lipoprotein(a) helps prevent excess fibrinolysis, which would result in bleeding and impaired repair, on the outside surface of the clot in order to aid with injury resolution.26 This use in clot strengthening, and inhibiting clot dissolution, through binding to fibrin may explain why higher levels of lipoprotein(a) are associated with lower levels of death related to brain and airway bleeding, as well, as increased fibrinolysis during a major bleeding event could be detrimental in terms of mortality outcomes. Beyond its involvement in wound repair, I discovered that lipoprotein(a) also has a few other key features. For one, it appears to be involved in the immune system similar to other lipoproteins. Infection by Hepatitis C, for example, is inhibited via interaction with apolipoprotein(a) and this inhibition is proportional to the apo(a) size. In other words, the longer tails did a better job at inhibiting infection in vitro.27 The extent of lipoprotein(a)’s involvement in the immune system is likely still largely unknown, but this interaction does provide one example of the possibilities that may be uncovered in the future. To be sure, there is much we do not know about lipoprotein(a). Not only as far as risk in general, but also if it’s the lipoprotein(a) in itself that contributes to risk or if the context matters. We do have some hints, seemingly pointing towards context being key, and at the very least it seems that it is high lipoprotein(a) at a later stage of disease that may be influencing risk, as lipoprotein(a) isn’t associated with early thickening of the arteries, which contradicts the common idea that lipoprotein(a) is harmful to the arteries in itself.33 In addition, it appears that the oxidized phospholipid content contained on apo(a) is highly important when associated with extent of disease progression34, with one study stating that oxPL may “significantly contribute or primarily account for” the risk associated with lipoprotein(a) (emphasis mine). Another question left unanswered is how much population based risk calculating studies are influenced by those with familial hypercholesterolemia as they also tend to have higher levels of lipoprotein(a) and are already at higher risk of developing cardiovascular disease and dying early.35 While the argument is made that this risk is from lipoprotein(a) or high cholesterol levels in general, it may also be that the difference in LDL receptor efficiency may also result in delayed or inefficient healing from arterial damage36 and thus higher need for the reparative aspects of lipoprotein(a). It is notable that in French centenarians, high lipoprotein(a) levels were quite prevalent37, and that in elderly populations there was no correlation between lipoprotein(a) levels and all-cause mortality in men38 – perhaps because of the lower concentration of those with familial hypercholesterolemia in elderly groups. 1 Berglund, L. “Lipoprotein(a): An Elusive Cardiovascular Risk Factor.” Arteriosclerosis, Thrombosis, and Vascular Biology, vol. 24, no. 12, Dec. 2004, pp. 2219–26. Crossref, doi:10.1161/01.ATV.0000144010.55563.63. 2 Gaubatz, J. W., et al. “Human Plasma Lipoprotein [a]. Structural Properties.” The Journal of Biological Chemistry, vol. 258, no. 7, Apr. 1983, pp. 4582–89. 3 van Buuren, Frank, et al. “Incidence of Elevated Lipoprotein (a) Levels in a Large Cohort of Patients with Cardiovascular Disease.” Clinical Research in Cardiology Supplements, vol. 12, no. Suppl 1, Mar. 2017, pp. 55–59. PubMed, doi:10.1007/s11789-017-0087-y. 4 Kotani, Kazuhiko, et al. “Evidence-Based Assessment of Lipoprotein(a) as a Risk Biomarker for Cardiovascular Diseases – Some Answers and Still Many Questions.” Critical Reviews in Clinical Laboratory Sciences, vol. 53, no. 6, Nov. 2016, pp. 370–78. Crossref, doi:10.1080/10408363.2016.1188055. 5 Nordestgaard, Børge G., et al. “Lipoprotein(a) as a Cardiovascular Risk Factor: Current Status.” European Heart Journal, vol. 31, no. 23, Dec. 2010, pp. 2844–53. Crossref, doi:10.1093/eurheartj/ehq386. 6 Langsted, Anne, et al. “High Lipoprotein(a) and Low Risk of Major Bleeding in Brain and Airways in the General Population: A Mendelian Randomization Study.” Clinical Chemistry, vol. 63, no. 11, Nov. 2017, pp. 1714–23. Crossref, doi:10.1373/clinchem.2017.276931. 7 Sawabe, Motoji, et al. “Low Lipoprotein(a) Concentration Is Associated with Cancer and All-Cause Deaths: A Population-Based Cohort Study (the JMS Cohort Study).” PloS One, vol. 7, no. 4, 2012, p. e31954. PubMed, doi:10.1371/journal.pone.0031954. 8 Faghihnia, Nastaran, et al. “Changes in Lipoprotein(a), Oxidized Phospholipids, and LDL Subclasses with a Low-Fat High-Carbohydrate Diet.” Journal of Lipid Research, vol. 51, no. 11, Nov. 2010, pp. 3324–30. Crossref, doi:10.1194/jlr.M005769. 9 Nilausen, Karin, and Hans Meinertz. “Lipoprotein(a) and Dietary Proteins: Casein Lowers Lipoprotein(a) Concentrations as Compared with Soy Protein.” The American Journal of Clinical Nutrition, vol. 69, no. 3, Mar. 1999, pp. 419–25. Crossref, doi:10.1093/ajcn/69.3.419. 10 Laron, Z., et al. “Insulin-like Growth Factor-I Decreases Serum Lipoprotein(a) during Long-Term Treatment of Patients with Laron Syndrome.” Metabolism, vol. 45, no. 10, Oct. 1996, pp. 1263–66. Crossref, doi:10.1016/S0026-0495(96)90245-0. 11 Wang, Xing Li, et al. “Acute Effects of Insulin-like Growth Factor-1 and Recombinant Growth Hormone on Liprotein(a) Levels in Baboons.” Metabolism, vol. 51, no. 4, Apr. 2002, pp. 508–13. Crossref, doi:10.1053/meta.2002.31328. 12 Ramharack, R., et al. “Dominant Negative Effect of TGF- 1 and TNF- on Basal and IL-6 Induced Lipoprotein(a) and Apolipoprotein(a) MRNA Expression in Primary Monkey Hepatocyte Cultures.” Arteriosclerosis, Thrombosis, and Vascular Biology, vol. 18, no. 6, June 1998, pp. 984–90. Crossref, doi:10.1161/01.ATV.18.6.984. 13 García-Gómez, Carmen, et al. “Lipoprotein(a) Concentrations in Rheumatoid Arthritis on Biologic Therapy: Results from the CARdiovascular in RheuMAtology Study Project.” Journal of Clinical Lipidology, vol. 11, no. 3, May 2017, pp. 749-756.e3. Crossref, doi:10.1016/j.jacl.2017.02.018. 14 Noma, A., et al. “Lp(a): An Acute-Phase Reactant?” Chemistry and Physics of Lipids, vol. 67–68, Jan. 1994, pp. 411–17. 15 Min, W. K., et al. “Relation between Lipoprotein(a) Concentrations in Patients with Acute-Phase Response and Risk Analysis for Coronary Heart Disease.” Clinical Chemistry, vol. 43, no. 10, Oct. 1997, pp. 1891–95. 16 Borba, E. F., et al. “Lipoprotein(a) Levels in Systemic Lupus Erythematosus.” The Journal of Rheumatology, vol. 21, no. 2, Feb. 1994, pp. 220–23. 17 Dursunoğlu, Dursun, et al. “Lp(a) Lipoprotein and Lipids in Patients with Rheumatoid Arthritis: Serum Levels and Relationship to Inflammation.” Rheumatology International, vol. 25, no. 4, May 2005, pp. 241–45. Crossref, doi:10.1007/s00296-004-0438-0. 18 Asanuma, Yu, et al. “Serum Lipoprotein(a) and Apolipoprotein(a) Phenotypes in Patients with Rheumatoid Arthritis.” Arthritis & Rheumatism, vol. 42, no. 3, Mar. 1999, pp. 443–47. Crossref, doi:10.1002/1529-0131(199904)42:3<443::AID-ANR8>3.0.CO;2-Q. 19 Silva, Isis T., et al. “Antioxidant and Inflammatory Aspects of Lipoprotein-Associated Phospholipase A2 (Lp-PLA2 ): A Review.” Lipids in Health and Disease, vol. 10, no. 1, 2011, p. 170. Crossref, doi:10.1186/1476-511X-10-170. 20 Kiechl, S., et al. “Oxidized Phospholipids, Lipoprotein(a), Lipoprotein-Associated Phospholipase A2 Activity, and 10-Year Cardiovascular Outcomes: Prospective Results From the Bruneck Study.” Arteriosclerosis, Thrombosis, and Vascular Biology, vol. 27, no. 8, May 2007, pp. 1788–95. Crossref, doi:10.1161/ATVBAHA.107.145805. 21 Snyder, M. L., et al. “Binding and Degradation of Lipoprotein(a) and LDL by Primary Cultures of Human Hepatocytes. Comparison with Cultured Human Monocyte- Macrophages and Fibroblasts.” Arteriosclerosis, Thrombosis, and Vascular Biology, vol. 14, no. 5, May 1994, pp. 770–79. Crossref, doi:10.1161/01.ATV.14.5.770. 22 Aisina, R. B., and L. I. Mukhametova. “Structure and Function of Plasminogen/Plasmin System.” Russian Journal of Bioorganic Chemistry, vol. 40, no. 6, Nov. 2014, pp. 590–605. Crossref, doi:10.1134/S1068162014060028. 23 Laurens, N., et al. “Fibrin Structure and Wound Healing.” Journal of Thrombosis and Haemostasis, vol. 4, no. 5, May 2006, pp. 932–39. Crossref, doi:10.1111/j.1538-7836.2006.01861.x. 24 Weisel, John W., and Rustem I. Litvinov. “Fibrin Formation, Structure and Properties.” Fibrous Proteins: Structures and Mechanisms, edited by David A.D. Parry and John M. Squire, vol. 82, Springer International Publishing, 2017, pp. 405–56. Crossref, doi:10.1007/978-3-319-49674-0_13. 25 Loscalzo, J., et al. “Lipoprotein(a), Fibrin Binding, and Plasminogen Activation.” Arteriosclerosis, Thrombosis, and Vascular Biology, vol. 10, no. 2, Mar. 1990, pp. 240–45. Crossref, doi:10.1161/01.ATV.10.2.240. 26 Yano, Yoko, et al. “Immunolocalization of Lipoprotein(a) in Wounded Tissues.” Journal of Histochemistry & Cytochemistry, vol. 45, no. 4, Apr. 1997, pp. 559–68. Crossref, doi:10.1177/002215549704500408. 27 Oliveira, Catarina, et al. “Apolipoprotein(a) Inhibits Hepatitis C Virus Entry through Interaction with Infectious Particles.” Hepatology, vol. 65, no. 6, June 2017, pp. 1851–64. Crossref, doi:10.1002/hep.29096. 28 Bergmark, Claes, et al. “A Novel Function of Lipoprotein [a] as a Preferential Carrier of Oxidized Phospholipids in Human Plasma.” Journal of Lipid Research, vol. 49, no. 10, Oct. 2008, pp. 2230–39. Crossref, doi:10.1194/jlr.M800174-JLR200. 29 Kiechl, S., et al. “Oxidized Phospholipids, Lipoprotein(a), Lipoprotein-Associated Phospholipase A2 Activity, and 10-Year Cardiovascular Outcomes: Prospective Results From the Bruneck Study.” Arteriosclerosis, Thrombosis, and Vascular Biology, vol. 27, no. 8, May 2007, pp. 1788–95. Crossref, doi:10.1161/ATVBAHA.107.145805. 30 Tsimikas, S., et al. “New Insights Into the Role of Lipoprotein(a)-Associated Lipoprotein-Associated Phospholipase A2 in Atherosclerosis and Cardiovascular Disease.” Arteriosclerosis, Thrombosis, and Vascular Biology, vol. 27, no. 10, Oct. 2007, pp. 2094–99. Crossref, doi:10.1161/01.ATV.0000280571.28102.d4. 31 Lee, Kyuhyun, et al. “Adeno-Associated Virus-Mediated Expression of Apolipoprotein (a) Kringles Suppresses Hepatocellular Carcinoma Growth in Mice.” Hepatology (Baltimore, Md. ), vol. 43, no. 5, May 2006, pp. 1063–73. PubMed, doi:10.1002/hep.21149. 32 Yu, Hyun-Kyung, et al. “Suppression of Colorectal Cancer Liver Metastasis and Extension of Survival by Expression of Apolipoprotein(a) Kringles.” Cancer Research, vol. 64, no. 19, Oct. 2004, pp. 7092–98. Crossref, doi:10.1158/0008-5472.CAN-04-0364. 33 Calmarza, P., et al. “Relationship between Lipoprotein(a) Concentrations and Intima-Media Thickness: A Healthy Population Study.” European Journal of Preventive Cardiology, vol. 19, no. 6, Dec. 2012, pp. 1290–95. PubMed, doi:10.1177/1741826711423216. 34 Tsimikas, Sotirios, et al. “Oxidized Phospholipids, Lp(a) Lipoprotein, and Coronary Artery Disease.” New England Journal of Medicine, vol. 353, no. 1, July 2005, pp. 46–57. Crossref, doi:10.1056/NEJMoa043175. 35 Langsted, Anne, et al. “High Lipoprotein(a) as a Possible Cause of Clinical Familial Hypercholesterolaemia: A Prospective Cohort Study.” The Lancet Diabetes & Endocrinology, vol. 4, no. 7, July 2016, pp. 577–87. Crossref, doi:10.1016/S2213-8587(16)30042-0. 36 Okuyama, Harumi, et al. “A Critical Review of the Consensus Statement from the European Atherosclerosis Society Consensus Panel 2017.” Pharmacology, vol. 101, no. 3–4, 2018, pp. 184–218. Crossref, doi:10.1159/000486374. 37 Thillet, J., et al. “Elevated Lipoprotein(a) Levels and Small Apo(a) Isoforms Are Compatible with Longevity.” Atherosclerosis, vol. 136, no. 2, Feb. 1998, pp. 389–94. Crossref, doi:10.1016/S0021-9150(97)00217-7. 38 “Lipoprotein(a) and All-Cause Mortality in Elderly Subjects: Data from the InChianti Study.” Nutrition, Metabolism and Cardiovascular Diseases, vol. 14, no. 5, Oct. 2004, p. 291. Crossref, doi:10.1016/S0939-4753(04)80094-2. I read the article and watched the video. As someone with high Lp(a) eating a keto diet, somewhat your comforting research summary about this particular marker is very welcome. Thanks Siobhan! For those with high Lp(a), do you recommend measuring exotic markers like Lp-pla2 or are tests like coronary artery calcium scans and carotid intima-media thickness tests typically sufficient to diagnose heart disease? For me personally, I intend to get Lp-pla2 tested on Friday just to see where it’s at. I’m not sure how reliable the test is, and of course the over all big picture is far more important to me than any one marker, but I would like to know what it is. Of course CIMT and CAC is also on my list, and I consider those the preferred measures, since they’re measuring actual extent/progression of the disease instead of markers we don’t fully understand yet. Very good information. A note about those with FH: although they are known for developing heart disease earlier, their overall death rate is about the same as a normal person. They tend to get other diseases less. There’s a hypothesis that this occurs because there’s a link between “cholesterol” and the immune system. For instance, FH people get less cancer. I have “high” LP(a), but low HS-CRP. I tried taking Vitamin C (as suggested by the link) to see whether my LP(a) would go down…but Vitamin C made me feel, well, strange. So I ceased taking it. I’m not sure if there is an effect from Vitamin C, but as you point out, there’s not a lot of data indicating reducing LP(a) is beneficial (or detrimental). So, I’ve chosen to let my “high” LP(a) slide. I assume that losing 50+ pounds and feeling great, using a near zero-carb/carnivore diet an intermittent fasting, hopefully means LP(a) is meaningless. Oh, yes, FH and general mortality is something I’ve had quite a few discussions about with Dave and others, I was just sticking to addressing the heart disease side of things specifically in this article for the sake of staying on topic. I’d definitely agree that cholesterol (more specifically lipoproteins) are involved in the immune system – it’s acknowledged occasionally in the official literature that they are. As for cancer, I have some theories as to why that would be, as well, and yes it ties back to cholesterol/lipoproteins. I’ll address the lipid system’s involvement in the immune system at some point, it’s a bit of a pet topic of mine. It’s really fascinating stuff. As for vit C and lp(a) I’ve seen some theorizing that lp(a) was developed because we can’t synthesize vit C anymore, but I’m not sure how true that is, after spending a lot of time looking into it. Perhaps it’s related, but there are other animals that can’t synthesize vit C and did not develop lp(a), and likewise ones that developed lp(a) that can still synthesize vit C. It may be a coincidence. It’s also mentioned in the link that high need for lp(a) might be due subclinical scurvy, as he showed that when he made guinea pigs develop scurvy and gave them lp(a) the lp(a) integrated into the arteries…. but I think that may just be a demonstration of lp(a) doing what it normally does (helping with general tissue repair) not scurvy in particular. There’s also a study floating around demonstrating vit C supplementation does not lower lp(a) levels. I think the larger picture is that high need for lp(a) is likely caused by damage to the arteries in general, or high levels of oxidative stress, perhaps other things we’re not aware of yet – which coincidentally vitamin C deficiency contributes to. I don’t think that means vitamin C hypersupplementation is the “cure”, or even at all protective for lp(a) related problems (if there are any), though. It just hasn’t really done much to convince me at this point. It’s a rabbithole I fell down a while ago, but I came out with the impression it might be an oversimplification of things. I also have what’s considered “high” Lp(a) (it’s about three times higher than my sister’s, too!) I’ve decided to look further into it to see if it’s somehow diet related (I’m also carnivore and eat primarily pork and poultry), and if I can’t find anything I’ll still be getting a CAC and regular CIMTs and see what happens. With the info we have now, it would be all I’d be comfortable doing, really. I found out yesterday from an NHS cardiologist that I have a very high LP(a) count. She said I needed to stop my LCHF diet right away or go onto statins to lower my LDL. She said it was really dangerous to have LP(a) but then discharged my from the service as I didn’t want to take statins. Does anyone know of any experts in the UK that understand this stuff? I feel like I need to get a medical degree to find out what I should be eating. Not sure about anyone in the UK, that could be helpful (I don’t know much of anyone who specializes in Lp(a) specifically) but the reaction to come *off* of a LCHF diet seems odd to me, considering higher carb/lower fat diets *raise* Lp(a). As for high Lp(a) in general, I have high levels as well. I am getting Lp-pla2 tested today, but I also intend to get a CIMT done at my next appointment (this check’s for arterial thickening). I also try to look at the big picture – what’s my insulin level? What’s my HDL and triglycerides? What’s my CRP? From what I’ve seen the risk for Lp(a) is pretty context dependent, and even in the research they say it’s only a moderate risk factor (especially, in my opinion, compared to insulin resistance). Perhaps looking at your big picture would help you figure out what you want to do as well? Thank you for replying to my comment. I have been reading and also watching youtube videos like crazy over the last few days trying to find my feet. I was speaking to a radiographer friend of mine who said that I could get may cerotic artery scanned using ultrasound to see if there was any plack there. I think that is the CIMT you are talking about. Your comments are really useful. The idea of looking at the whole picture was reassuring. After 18 months of LCHF (generally in ketosis) I started with tryglicireids of 1.42 which are now down to 0.58, HDL of 0.95 now up at 1.56 – all good. I think the cardiologist was suggesting statins as my LDL started at 1.80 and is now at 5.18 and it climbs every time a get a new test. When you say about looking at the big picture, I was planning on trying to get a CIMT scan, perhaps a calcium scoring CT scan for my heart. As I understand it both of these are looking at actual calcium build up as opposed to markers or proxy measures for vascular health. I will try to get my Lp-pla2 tested as well. Can I ask if there are any other tests that you think might be helpful for me to build the bigger picture of my actual vascular health and risk? Are there tests for inflation for example? Yep, CIMT is an ultrasound looking at the Carotid Intima-Media Thickness, which is what you’re talking about. I personally like it (and intend to get it done), because arterial thickening is one of the first physical symptoms of developing atherosclerosis, even before hard plaque formation, and the ultrasound doesn’t pack as much radiation as something like a coronary artery calcium scan so you can re-test pretty frequently (I intend to do every 6 months if possible). Yep – I’d agree on the HDL and trigs, I generally like to see trigs go down and HDL up, which is exactly what happened for you. I’m not surprised at the reaction from the doctor in regards to LDL, but as you likely know my view on it is a bit different. Plus, if you’re following a high fat, low carb diet LDL may go up for a benign reason (transporting fat based energy) which may not present the same risk as LDL going up due to inflammation, for example. I’m not sure if you’ve seen it yet, but you may be interested in Dave’s Breckenridge talk, which discusses high LDL in a LCHF context. At one points statins were also offered to me by a previous doctor, and I did my own research on them and made my own decision (I personally decided not to), in general doing your own research on it could not be a bad thing, and it can help you decide if that’s what you want to, especially in regards to statins and primary prevention. It’s ultimately your choice. Insulin resistance in particular is tied in to heart disease risk (Ivor Cummins discusses this quite a lot) particularly well, so I try to get insulin on all of my bloodwork, but if you can’t TG:HDL ratios are next best in my opinion as the ratio (barring genetic factors) seems to reflect level of insulin resistance. I listed my preferred ones above (HDL, TG, insulin, hs-CRP, HOMA-IR), hs-CRP is an inflammation marker but it’s worth noting that hypertriglyceridemia (high triglycerides) also appear to be part of the acute phase response (response to inflammation), and HDL is tied into TG levels, and insulin appears to be involved as well. 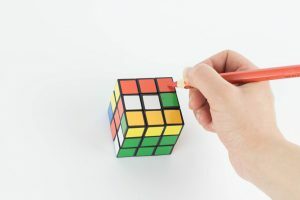 Because they all “fit” together as an over all system, that’s why I mention “the big picture” – all the markers together paint a picture of how things are functioning inside. Thanks for your detailed response – I really appreciate your time and effort. I have set up an ongoing payment to help keep you all going. No problem at all Andrew! While it is my job, I agreed to take on studying and working on this full time because above all I want to help people, in any way I can. Except I have clear/no plaque CIMT so carotid looks great, but I have symptomatic disease in my LAD. Ivor Cummins and Jeffrey Gerber discuss this in a recent video, and agree that CIMT does NOT necessarily correlate with CAD. I’m getting a CAC next week. I want to go next for that 640 slice CT scan, I’d like to know just how close it can get for magnification. And, do you or Dave know anything about the current state of MRI of heart for measuring plaque, soft or hard, or IMT? As for the MRI question, I’m not sure off the top of my head, but I’ll check with Dave and see if he knows. Hey Andrew. Pretty much in the same boat. I don’t have the exact numbers on hand, but same pattern as yours. Have higher HDL, lower triglycerides, since starting LCHF/Keto. But also high LDL, around 200 mg/dl. Not had my LP(a) measured. Since seeing Dave’s work, I realized (after the fact) that I’d gone into both my last 2 blood tests unconsciously restricting eating in order to “be good” ahead of the test. It was only after seeing Dave’s work that I realized restricted eating ahead of the blood lipid test would raise my LDL numbers. Do you think you might have had the same issue? I fully intend to pig out for a week on LCHF foods before my next test to see if my LDL comes down. Also my doctor gave me the fright of my life after my first cholesterol test came back after starting LCHF. It was only afterwards that I realized how much more important the 3 cholesterol ratios were compared to an LDL score on its own. Long story short, my ratios were fantastic due to high HDL and low triglycerides. A year later they’d improved by around 50%, even though the LDL stayed unmoved at 200. I don’t think I had been eating any differently in the time leading up to my last blood test. However, I will look at Dave’s protocol in more detail. Perhaps I will try it out and see if it affects my LDL. My Father was told last year about his very high LP(a) count after going to see a private doctor. The doctor said that all his children should be tested and I found out yesterday that I also have high levels. I received my blood results from a doctor on the NHS, however he said that there was no way he could give me any information on this as he didn’t know anything about it. Unfortunately the UK still has no idea about this, but it is becoming a bigger deal in the US now with current clinical trials being done out there. Diet and exercise unfortunately does not affect the levels, but moving to a more plant based diet will greatly reduce your cholesterol (which is the only thing we can control). I would really suggest going on statins though as this has really helped my Dad, heart disease runs in our family so we have taken this news very seriously. I am only 23 and a vegetarian so hope to keep my cholesterol under control!! Just a note – it may be worth looking at my posts on my Feldman Protocol attempt, and on my side of the Tandem Drop experiment. You may be interested in my lp(a) levels over the course of both experiments. This data seems to contradict the idea that lp(a) isn’t influenced by diet. I’ve likewise seen my levels change (twice now) when switching from a pork based to ruminant (beef) based diet as well. It’s also worth noting that some studies indicate (one of which is listed in this post) that risk from lp(a) is context dependent. Ivor Cummins also tipped me off to another indicating lp(a) levels are likewise dependent on HDL levels, e.g. if HDL is high (signalling low inflammation etc) risk is low. This is not a guarantee, but interesting regardless. And a last note is that statins have been shown to increase lp(a) somewhat. Not discouraging (or encouraging) their use, but worth noting imo. Thanks Siobhan for the information. I have moderately high Lp(a) at 40. The cross marker correlation with Lp-PLA2 is reassuring. which reenforces what you have spoken about. It does not call out Lp(a), but shows that people with CVD need to be in the highest quartile of the measured range of Lp-PLA2 to significantly increase risk. I would imagine that people below the level of damage of diagnosed CVD would be even safer. I’m supposed to have a CIMT soon. I *think* this would show if anything bad is taking place. It sure would be nice if these lipoprotein risk studies could start measuring insulin sensitivity or inflammation markers to provide some context. Thanks for the article and video! Having myself high levels Lp(a) I also researched it a lot trying to find an answer to why this high Lp(a) gene is still going around. It must have some kind of benefit and it does. So now I accept it as a blessing but knowing that I must keep my diet and lifestyle true to the ancestral living. I am on a LCHF diet, I exercise. My cholesterol has been up and down but no matter what my Lp(a) stays the same. Of course my doctor wanted me to take statins! No way! I went for a Calcium score test and everything looks good and I also tested for inflammation markers which also look good. But maybe I should test Lp-Pla2 as well? I also take fish oil. I’m thinking that this gene may have come from Northern ancestors who ate a lot of fish and did not have a lot of vitamin C? Maybe…Thanks again! I know the feeling, and there does indeed appear to be some benefit (especially noted by having 0 Lp(a) doubling risk of cardiovascular mortality compared to the next quintile in one study…). My Lp(a) fluctuates by 40 nmol/L so far (although I intend to get more high frequency testing done) but yeah has stayed pretty much the same for me so far as well. I do perhaps wonder if some of the risk associated with smaller forms of apo(a) (and thus increased levels) has to do with a different “carrying capacity” for oxPL, and thus higher susceptibility to being overwhelmed by oxidative stress – but that’s pure speculation on my part thus far. It is interesting to note that Peter of Hyperlipid has a post up on the Bantu. They’re genetically related, but distinct, and one group is primarily vegetarian while the other is similar but consumes meat (fish). The vegetarian group has shorter apo(a) forms, and thus higher Lp(a) over all. Even when controlling for apo(a) forms, they still have higher Lp(a) – so he speculates they benefit from having more Lp(a) around, perhaps because of some facet of this dietary difference. It’s interesting to think about at least. As far as Lp-Pla2, I’m not sure of the usefulness of it yet. I got blood drawn just an hour or so ago and that was on the list, but honestly if I had to choose a Coronary Artery Calcium Score or Lp-pla2 I’d pick CAC every time. It’s an actual measure of the progression of the disease, while Lp-pla2 is a solitary marker in a complicated system, albeit one I’m interested in understanding better. That said it probably doesn’t hurt to check if you’re curious – just note that in the study referenced in the article the lowest tertile was <700 for Lp-pla2 so even if slightly elevated (e.g. 200s) it might not impact risk much. So great to get some more insight on the role of Lp(a). I was diagnosed with FH when I was 23 based on high LDL, Lp(a) and ApoB (as well as the fact that my dad died of a heart attack at 56). At the time my Lp(a) was 484 mg/L putting me in the “very high risk” category. It was never checked again until last month (I’m now 33) and my level has drastically lowered to 191 mg/L. I’m not on a statin and the only difference is that I had started a LCHF the month prior to the blood test. When I was told about the high Lp(a), the doc said there was very little I could do to change it but I attributed the change to my diet. I was made to think that the high level was linked to my supposed genetic problem but realize this was not the case for me as my LDL has remained high but Lp(a) has dropped. Have you come across any links between Lp(a) and FH? Yes, it is typically the case that those with LDLR mutation based FH have higher Lp(a) levels than the general population, although whether that’s due to higher demand or lower clearance is unknown. Granted though, it could be both – genetically influenced to be a bit higher *and* influenced by diet/environment. Diet does appear to impact lp(a) levels, more specifically that higher carb, lower fat diets raise it, as does soy based protein over casein (milk) protein for example. In some of the research I’ve read so far it states that probably about 30% of lp(a) levels are based on genetics. So it could very well be that LCHF did lower your Lp(a) levels – similar (although not as drastic lowering) has been indicated to occur in experimental settings as well. I’ve never actually heard of Lp(a) lowering so quickly before, but it does seem like it is possible. Thanks for that information. My two tests were 10 years apart so I guess other factors could be at play, but in terms of my diet, the only difference is that I’ve been eating low carb. My LDL and ApoB levels did not change though, and are both still considered high. I know low carb diets don’t really lower LDL (and can sometimes raise it), so is that the case for ApoB as well because they are linked? What are your thoughts on the importance of ApoB in all of this? I’m so happy that all of my lipid markers are the best they’ve ever been while being on this diet but also worried that LDL and ApoB are still high (though if I really do have FH I suppose ApoB will always be high?) . Yes apoB and LDL-C are related. ApoB is measuring how many LDL particles there are, and LDL (or LDL-C) is measuring the “cargo” – how much cholesterol the particles are carrying as a whole. So, the two are linked, to a point. There’s some evidence (such as from Virta Health) that LCHF can sometimes bring down ApoB/LDL-P but that’s normally in people who have high apoB due to inflammation. If yours is from FH I would doubt that it would go down. Although, I’m not expert in that regard. As mentioned in this list (#1) the risk for those with FH doesn’t even seem to be related to LDL level anyway. The differentiating factor for those who had an event, and those who didn’t was actually level of insulin resistance. LDL level was about the same between the two groups. So perhaps that’s something you could look into – which is something I consider to likely be true for the general population anyway. Signs of inflammation and insulin resistance seem to be better predictive markers than LDL even in the general population (e.g. HDL levels, triglyceride levels, fasting insulin) from what I’ve seen so far. Thank you Siobhan for your enlightening info on Lp(a). Mine is 265 nmol/L (high risk), and I have been trying to research ways to reduce my CAD risk for the last 2 years. I went vegan for 4 months; lipids and particles went up! Eventually had a carotid ultrasound showing moderate risk in left carotid and clear on right side. Also convinced a second cardiologist to order a coronary artery calcium scan, and it was 92 – high end of minimal risk range. I have seen 3 physicians trying to better understand Lp(a) and its particular risk to me. They all recommended statins because as one said, “Lp(a) doubles the risk.”. Thanks to people like you, Dave, Ivor Cummins and Dr. Jeffry Gerber, I have decided to not let one marker rule my health. My Lp-PLA is good along with ApoB, hs-CRP, Trigs and ratios. I am also very fit following a regular exercise/weight training program. I have been on LCHF for about 6 weeks now and feel this is the way to go. I plan to have another calcium score in 3 years and let the lipids be unless something warrants other testing. Thanks again. Good luck with your Lp=PLA test! Dr Matthias Rath has shown in numerous animal studies that LP(a) is the bodies defense when ascorbic acid (AC) gets too low. AC builds collagen and is a major builder of the ground substance in the walls of arterial walls. When AC is low, the liver produces a very sticky lipoprotein to plug the holes in the eroding blood vessels. When AC is restored to proper amounts, the body stops production of LP(a). Dr. Raths work is an important piece of the LPa puzzle…some links for further study.. I think vitamin C deficiency is something that could cause higher Lp(a), but I definitely don’t think it’s the only cause. I think it’s likely that vitamin C deficiency can cause damage to the arteries, which would lead Lp(a) to go up to address that. It has roles in repair, after all. But, as stated here it is used in repair of numerous tissues, and various different things can lead to raising or lowering (environmental, diet, etc) – if you get a cut it is used to heal that wound as well, if you have a hemorrhagic stroke it helps to clot, etc. It also has uses in cleaning up oxidized phospholipid and discarding them. The vitamin C thing I think is one function of a very useful particle. Likely anything that leads to damage of the arteries, or an increase in oxidative damage, will lead to raised Lp(a). I just watched your video and it gave me perhaps a glimmer of hope. I have SUPER high Lp(a) It’s always been sky high ever since beginning testing a few years ago. I take every supplement under the sun, do Pauling Protocol. I’m 56 weigh 116, exercise, don’t eat animal products. I’ve managed to tame most markers except for Lp(a) and Beta Sitosterol from a couple years ago when they were mostly horrid. They recommend Ezetimibe, as it blocks the cholesterol from being absorbed. I read that it blocks NPC1L1, which is the same pathway Vitamin K is used to get absorbed. I take K2 to hopefully removed calcified plaque. Wondered if Bile supplement would help with sterol absorption, but read it possibly can cause cancer(!?) I have those earlobe creases, and when I had my first mammogram, there were micro-calcifications at age 40 which happens they say every 1 in 10 cases at that age. Will get Calcium scan to see how much damage has been done over the many years without even knowing about these markers. Thankfully my ultrasound of carotid/aorta was super clear. Have you heard of Lp(a) being influenced to Hyperabsorption of cholesterol? Do you know if a HFLC diet would exacerbate the hyperabsorbtion of the good fats? Interesting – the main Lp(a) SNPS rs3798220 and rs10455872 both homozygous = good. Apparently the heterozygous versions can contribute to aortic stenosis. Curious about the ‘good’ version of an Lp(a) SNP. Sounds like an oxymoron to me. Sorry for the War and Peace version, but I am kind of freaking out about this. I’m not too sure about the phytosterol absorption question, unfortunately. I haven’t heard of Lp(a) influencing cholesterol/phytosterol absorption at all, nor the other way around (hyperabsorption of sterols raising Lp(a)), I’m not sure why they’d be related, if they are, unless the absorption of phytosterol is causing some downstream effect. It does look like your lp-pla2, CRP, HDL, and trigs, are all in ranges I’d want to have… do you know if either of your parents also have high Lp(a)? And, do you know what your fasting insulin is? This is another marker I personally like to keep an eye on. The "good" Lp(a) SNP essentially just means it's a variant that generally results in lower Lp(a). I don't really think it's an oxymoron, as Lp(a) does have its uses in the body, the question is if yours is being "used" for anything, and that's why it's high, or if it's genetic. One of the relevant questions is, what does your diet look like? You said no animal products, so what's a typical day of eating for you? Diet can impact Lp(a) levels as shown by quite a few tests - have you switched to plant based recently, and if so do you have before/after Lp(a) readings? Thank you for your reply. I’m not sure if my parents have high Lp(a), but my father had a 3x bypass a few years ago. I asked him and he said he has never been tested for Lp(a). Makes me wonder…..
I’ve been plant based for a few years, and have only started having Lp(a) tested in 2013 and it was high then and in every subsequent test with crazy fluctuations but always super high.Prior to 2013 no doctor tested me for it and I had never heard of Lp(a). I’ve recently cut down on carbs, and junk foods, eat fruit, vegetables, some nuts. After reading a little about low carb, I have cut out bananas and other high carb foods, or just have a tiny tiny portion-literally a bite or 2. My fasting glucose was 97 on this past test and 99 in 2016. My insulin resistance (HOMA-IR) was 2.4 midrange should be 3 is considered high) Insulin-3 and C-Peptide are in ‘optimal’ levels. Sheesh—every lab is different with all the stuff they test for. The test does not include Oxidized Phospholipids, but I just read this morning that they are carried around on Lp(a) particles!! Can I ask you: if my inflammatory markers are *good*(as per my first posting) (ApoB is in the low side of midrange), can I still have loads of Oxidized phospholipids floating around because my Lp(a) is so high despite my low inflammation and low bad particle numbers?? This would contradict your speech in the video, right? I read that statins can sometimes cause an increase in Lp(a) (10-50%!!!) I *wonder* (although it is most likely remote) if the Red Yeast Rice is messing around with my Lp(a) levels, but again it’s ALWAYS been super high. FWIW there is some evidence that a vegetarian diet can cause higher lp(a), although whether that’s due to the high carb content or something else. Because you started testing after you went plant based (from what I understand?) I imagine it’d be rather hard to tell if it’s contributing or not, unfortunately. Yes, oxidized phospholipid are carried by lp(a) so that they can be broken down and safely disposed of. Also, just because you have high lp(a) doesn’t mean you have high oxPL. If you’re curious about the red yeast rice, just remove it for 2 weeks or so and get another test and see what happens. Also see if any of the above are in your diet and see if removing them helps. Also you said there were crazy fluctuations – do you remember the context around each test? Were there any notable differences between diet, environment, etc, between when it went low vs high etc? This could also be used to help figure out what is influencing it if it isn’t genetic. Thank you Siobhan for your reply–I am learning a lot from you. I am making some serious adjustments to what I eat as I do consume many of the things you mentioned. Also have been researching Ezetimibe alternatives for blocking cholesterol absorption, as my B-Sitosterol marker was very high. Am finding some really interesting things like certain strains of probiotics–main one seems to be L. Acidophilus 4356:(https://www.ncbi.nlm.nih.gov/pmc/articles/PMC4249224/inhibit absorption). It’s sold in Canada in capsules but requires refrigeration, so unwise to buy in this hot weather! Found a few others L. Rhamnousus GG which I did find on Amazon-they just arrived today, don’t think they’re as effective as L. 4356 but will try anyway. Also found a multi-strain probiotic in Florida which contains a couple strains which might block absorption–they are sending today in a cold-pack box. Who needs to go clothes shopping when you can buy strains of Probiotics!? Ezetimibe blocks expression of NPC1L1 but this also blocks absorption of Vitamin K(same absorption pathway) which isn’t good. I am trying to find out if they mean Vitamin K1 or K2. Don’t care about K1, but K2 has many many benefits. I have been taking L Reuteri 30242 as it stated that it could ‘lower chole(sterol) absorption by 45%.’ Didn’t work for me, didn’t target NPC1L1, maybe that’s why. I always search for a nutraceutical substitute to a pharmaceutical, and currently the only ‘drug’ I take is a baby aspirin, but I found out that there is a heterozygous Lp(a)SNP that responds to aspirin for lowering Lp(a), but I don’t have that variant, but take aspirin anyway. Since receiving such crappy results a couple of years ago, and not taking any supplements at all at that time, I am now taking a TON of supplements, and they worked beautifully by slashing all my bad markers down into the good zone, save for Lp(a) and sterol absorption. I just fear that all those years and years and years of eating rather poorly has got to have deposited some plaque in my heart’s arteries. Well, know better, do better. Siobhan—do you have a lab that you like? One that works with the patient, and where you don’t need to provide a doctor’s referral? One where you can choose off a ‘menu’ of what you would like to test for? And one who can send the results to you and not involve a doctor? I feel that doctors don’t know much about stuff like this, and don’t want to waste my time going to ‘discuss lab results’ every time with my Dr. Thank you Mike for the links. I will inform my Dr. about the Lp(a) study. Hi Siobhan, Thanks for the article on Lp (a) and it’s commonly reported risk for blood clot. I am a Registered Nutritional Therapist now using Spectracell lab’s Cardiometabolic Testing and my personal report showed an extremely high level 74.7 mg/dl (reference ranges are 6-29.9) in Aug 2018. HDL is on the high side with a score of 89 and LDL at high of 140. Listening to Dave speak on Mike Mutzel’s High Intensity Health Podcast had me rethink this whole ‘cholesterol’ picture. Being a healthy and active person (1 to 2 hrs of various exercise per day including HIIT, Kickboxing, and Weight Training), with a body fat averaging 17% with high muscle mass at 36% (for a 51 yr of woman) using the Bioelectrical impedance method, on a low carb diet with overnight fasting for 14 hr most days, I question the Lp (a) score to be indicative of a compensation pattern to my high CK levels (was 1037 U/L in May 2018 now brought down to 584 U/L in Oct 2018 once I took specific supplements to help with muscle tissue repair (CoQ10, Carnitine, Serine, Calcium/magnesium, D Ribose, Asparagine, Fish oil – otherwise known as a mitochondrial support stack). After being on this stack, I will retest my Lp (a) to see if it’s shifted. Comments? You mention high levels of CK – are you talking about creatine kinase? Just by the little I know of it I’m not supremely surprised it’s high, considering it has to do with muscle damage/repair. If you’re doing HIIT several times a week, it’d make sense for there to be repair going on. As for the rest – I’ll be curious to see what it does to lp(a). Carnitine in itself has been documented to lower lp(a), alone. I’m not sure about the rest, personally, as far as what sort of impact they’d have – especially as it’s a lot of different things combined. As I walk my followers through the results of all my blood work, on the blog post I am working on, I plan to send them to your website to learn more about cholesterol and more specifically, Lean Mass Hyper-responders. July 2018 Echo which revealed normal LV size & function, LVEF 55-60%..Normal RV function and normal diastolic function….Trace mitral, tricuspid, and pulmonic regurgiation.. I think some, but I’ve also heard it is context specific (e.g. low HDL, etc). The homocysteine I’ve heard from a few people who deal with it often is ideally under 10, I believe it also relates to folate level, so B12 and folate may be worth looking at. The HDL seems a bit low, and trigs a little close to where I’d take a second look at it, but were you 12-14 hours fasted during the test? The results of those two can be off if fasting too long, or not long enough. If they are accurate, I’d probably want to look further at things like diet, etc, if it were me, as low HDL and high trigs (although usually higher than that) do relate to heart disease risk in themselves. I actually might have fasted too long for last round of bloodwork, as it approached 16 hours…Didn’t intend for that to happen, but by time I left work, got home, went to lab, took longer than anticipated….My trigs are usually < 100, though they have been over 100 few times….Usually do bloodwork 2x a year for about 2 decades now…. Ah okay, long term trends can tell a lot, luckily. If upon a re-test (or your next bi-annual test) they’re back to normal I wouldn’t be surprised. One more thing, is there any consensus about which lipoprotein test is best? Lipoprotein(a) and lp-pla2 are sometimes gotten together. Lipoprotein(a) test tells you how many lipoprotein(a) particles you have (if in nmol/L), lp-pla2 is a marker of oxidative damage of lipoproteins. There’s a study that mentions lp-pla2 activity modifies the risk of lipoprotein(a) levels. I have been taking hi doses of vitamin C I’m still in the 600s of my LP(a). Also been dealing with back pain that travels down my leg. MRI does not show that I should be in this mich pain. Wondering if there is any coralation with this disease. Not over weight, exercise regularly, look picture perfect but insides a mess. 1. 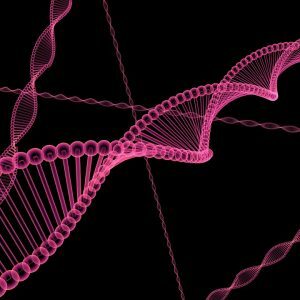 Amgen and 2.Arrowhead Pharm “Amgen receives a worldwide, exclusive license to Arrowhead’s novel, RNAi ARC-LPA program. These RNAi molecules are designed to reduce elevated lipoprotein(a), which is a genetically validated, independent risk factor for atherosclerotic cardiovascular disease.” Amgen anlos has drug Repatha to lower Lp(a). 3.Ionis Pharmaceutical and it’s subsidiary 4.Akcea published in The Lancet of Clinical Results with Lp(a) lowering drug. “The Lipoprotein(a) Foundation is a patient-founded, 501(c)3 non-profit organization dedicated to preventing cardiovascular events due to high Lipoprotein(a) by diagnosing the most prevalent genetic risk for cardiovascular disease; educating and empowering patients and saving lives. We are fortunate to have such loyal and compassionate companies supporting our organization, and we thank them on behalf of the 1 in 5 people globally who have been affected by high Lipoprotein(a). Was it the same with statins?